The winners of the 2018 Australian Family Therapists’ Award for children’s literature have been announced. 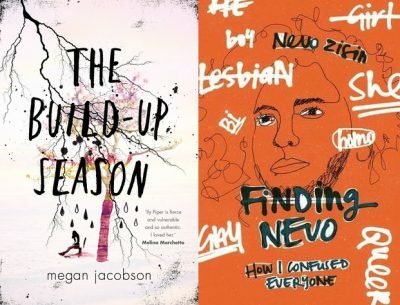 The winners are The Build-up Season by Megan Jacobson (Penguin) and Finding Nevo by Nevo Zisin (Black Dog); they each receive $1500. This year, the award went to two entries in the Older Readers category, with no prize awarded to any entrants in the Picture Book and Young Readers Award categories. The judges also recommended Paper Cranes Don’t Fly (Peter Vu, Ford St), Gemma Gets the Jitters (Katrina Roe, illus by Leigh Hedstrom, Wombat Books), Grandma Forgets (Paul Russell, illus by Nicky Johnston, EK Books), Harrison’s Song (Harrison Craig, illus by Ann-Marie Finn, Wombat Books), I’m Australian Too (Mem Fox, illus by Ronojoy Ghosh, Omnibus), The Kids Book of Feelings (Helen Martin, Judith Simpson & Cheryl Orsini, illus by Lisa Kennedy, ABC Books) and Through the Gate (Sally Fawcett, EK Books) as books that may ‘enhance therapists’ insights into specific problem areas’. The Australian Family Therapists’ Awards for children’s literature are presented by the Australian and New Zealand Journal of Family Therapy (ANZJFT). More information about the award can be found on the ANZJFT website.